Fabrizio Paterlini has exhibited a unique talent that at the piano that has everyone including me, trying to figure out how to categorize it. It's not on the same level as Keith Jarrett, although the emotion and ethereal qualities are the same. Yet it is more rooted in the classical tradition of Satie and Debussy with contemporary touches of Harold Budd or Nils Frahm. Modern Classical might be the best way to capture it. But either way you describe it - Paterlini should quickly turn into a household name outside of his native country, Italy. 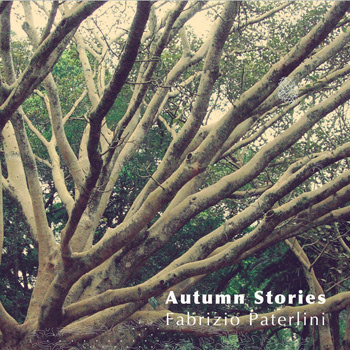 With his forth solo album, Autumn Stories, Paterlini shows a growing strength in creating structured arrangements which the listener clearly draw their own picture. The album was recorded over a 14 week period and quietly illustrates the movement of the seasons. "Week 1" opens with a soft hushed wind that blows the leaves gently aside. This imagery soon reveals the listener to the subtle, lonely notes of its protagonist. The stillness so opens up to "Week 2," a stripped bare version of Massive Attack's "What Your Soul Sings." Here though Paterlini allows the listener to dig deeper with his or her own thoughts to uncover a meaning. The subtraction of Sinead O'Conner's vocals from the Massive Attack version was hard for me but after a second listen it really does become Paterlini's piece. "Week 4" has the feeling of rolling emotions at sunset. There is almost a Keith Jarrett quality to this piece that is playful yet well constructed, and soon builds overflowing notes and then elegantly descends. 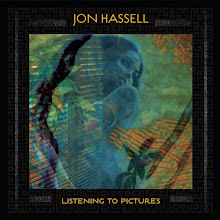 "Week 8" is delicate like Satie meets Glass; singularly focused with brief intersections of improvisation. The closing number for this beautiful journey is "Week 14." A minuet with multiple facets, Paterlini shows you the light at the end of the road. A light that's letting everyone know that life can continually be amazing. 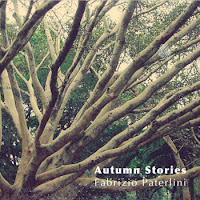 Fabrizio Paterlini has made another beautiful record that I hope more people will find out about. Fabrizio Paterlini is cycle about a brief period in life. But a period which is reflective and constructive. This is one of those solid records that goes upon recommendation for almost every friend you have--no matter what style of music they listen to. Highly Recommended.